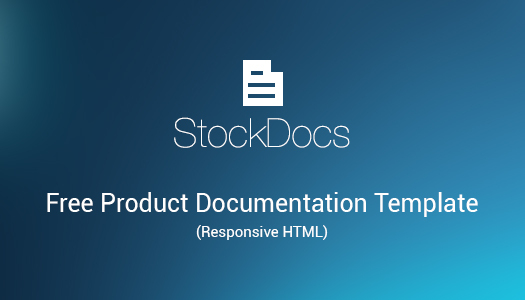 Today, we are releasing StockDocs, a FREE HTML template for creating software documentation. StockDocs is designed with the objective to provide a simple, clean and responsive HTML template that can be used to develop all sort of documentation for software products. StockDocs uses standardized HTML and CSS; all you need is your favorite HTML editor. You can create simple to complex documentation in WYSIWYG interface in any HTML editor. 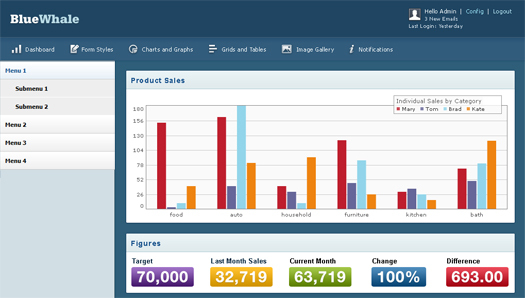 The template consists of a smart navigation on the left-hand side and a full-page panel for documentation text. Whether you are creating a user manual, an API document, an installation manual or a release guide, StockDocs can be adapted quickly to cater to any documentation requirement. The simple HTML format gives you a lot of flexibility regarding content. You can integrate videos, animation, custom plugins, multi-media content and a lot more in your product documentation created with StockDocs. This free responsive documentation HTML template comes in three color schemes: red, green and blue.